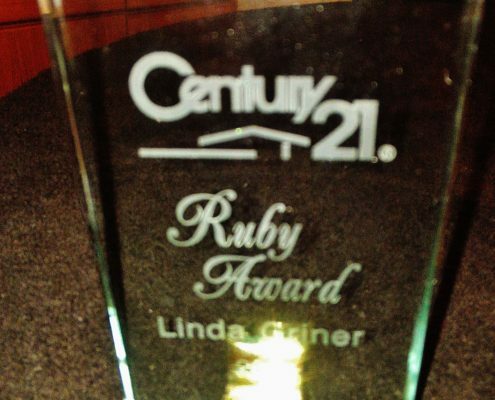 Linda has always combined her music career with her passion for Real Estate! 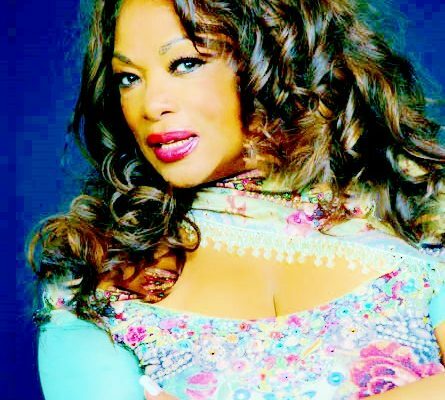 http://lindagrinermusic.com/wp-content/uploads/2016/08/logo.jpg 0 0 admin http://lindagrinermusic.com/wp-content/uploads/2016/08/logo.jpg admin2017-06-29 20:32:082017-08-02 00:33:21Linda has always combined her music career with her passion for Real Estate! 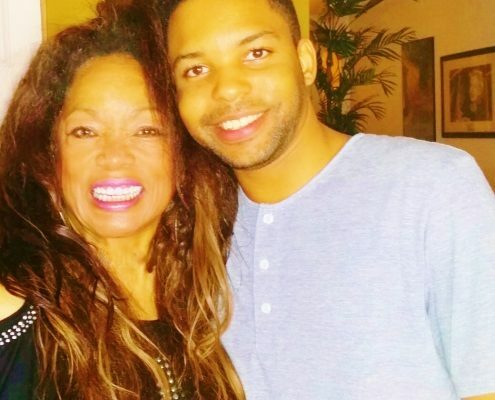 Linda with Akula Lyman up and coming Star can be seen in Trailer/Sizzle for Music Inc. he has been featured in ” The Color Purple” Mc Donald’ s TV commercials has a phenomenal CD coming guys stay tuned! Linda has high hopes for Akula. 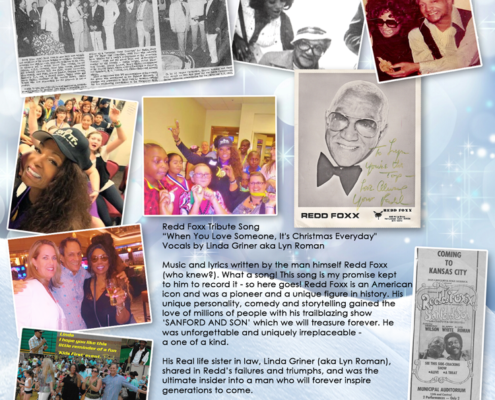 Linda’s 2016 Redd Foxx Single ” When you love someone Its Christmas Everyday” Lyrics and Music written by Redd Foxx. 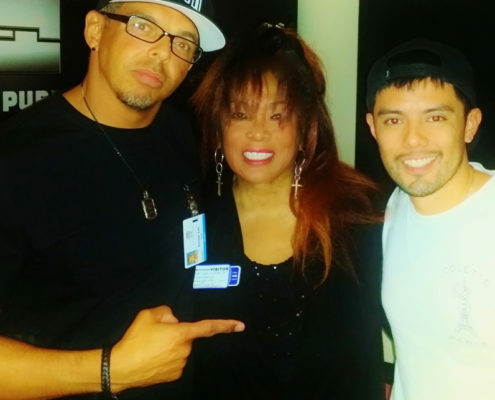 New Dance Club Mixer Esteban Carrasco in studio completing new project with Linda at Encore Hotel Casino in Las Vegas| House Music 2015-2016 Techno Mix .. . Esteban Carrasco | Encore Beach Club Reside Ronnie F. Lee to my left Ronnie Lee his manager European Music Market, Inc. | Studio DMI www.studiodmi.com. 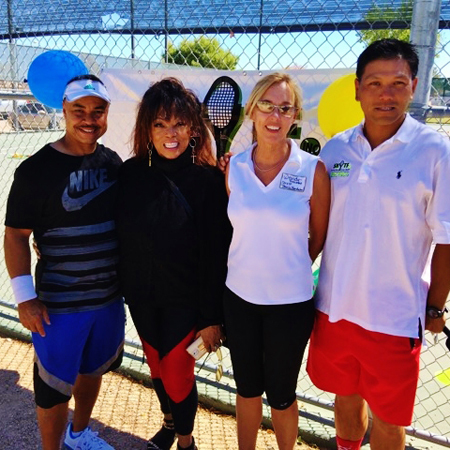 Board member Wendy Harrison, Will Robertson Absolute video Rich Luong, Our Tennis coach and Linda Griner , Sarurday September 25th 2016, Event was great for the kids! 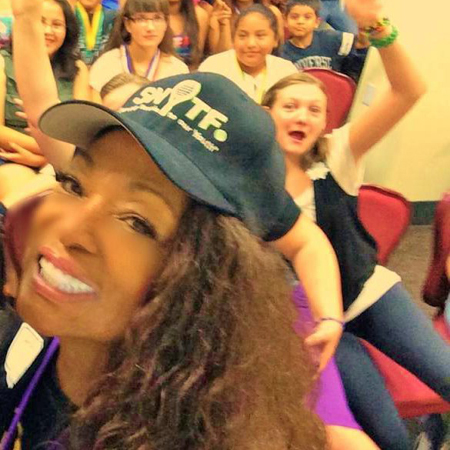 Sandy Sandee Rose Artman You are amazing God Bless you all. 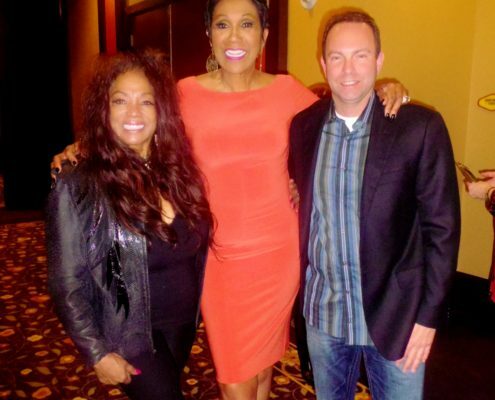 Linda Griner aka Lyn Roman with Mayor of Las Vegas Oscar Goodman and Global Business Committee members. Global Business Committee members, and guests. Our closing ceremony at Club Madeira. Touring the model homes among the many new developments in Las Vegas . Enjoying an exquisite cocktail party while networking high above the city. 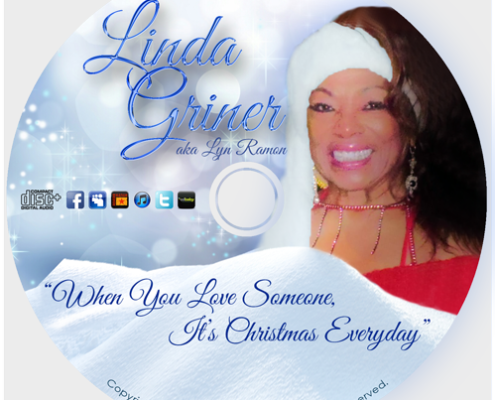 http://lindagrinermusic.com/wp-content/uploads/2016/08/logo.jpg 0 0 admin http://lindagrinermusic.com/wp-content/uploads/2016/08/logo.jpg admin2016-09-13 08:02:292016-10-18 06:30:36Linda Griner aka Lyn Roman with Mayor of Las Vegas Oscar Goodman and Global Business Committee members. 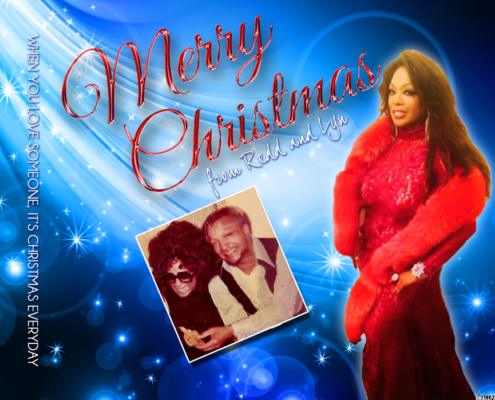 Such great folks to work with Oscar Goodman the Best Mayor in America! Thank you also for all you’ve done for Las Vegas and nationally and internationally making Las Vegas the number one tourist spot in the world! Former mayor Oscar B Goodman now Chairman charged with being No.1 Ambassador for Tourism in Las Vegas. The ” Happiest Mayor in the Universe’ Welcomes visitors to Las Vegas and rallies the local residents behind our leading industry Tourism. To his left Tamara Larisa Tyrbouslu Vice Chair and Linda Griner Ambassador for Australia.